Motorcycle protective apparel dealer introduces brand new Klim adventure motorcycle and snow gear. Offering the best durability, functionality, and comfort are Klim’s standards, and it shows in their new products. 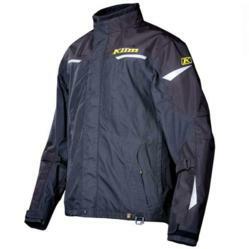 Klim is a premier motorcycle brand known for their collection of motorcycle and snow gear. Klim has become a popular brand in the Dual Sport, Adventure and Off-Road rider community due to its durable, comfortable and functional gear. Every product that Klim makes is built to be versatile enough to take on any condition you might encounter. The most recent approach to klim’s commitment to quality is in the new Overland motorcycle pants and jacket. The Klim Overland Jacket and Pants are both made of 840D Cordura and Gore-Tex construction. These items come with CE rated 3DO armor placed strategically on impact zones. The Overland collection offers great ventilation and has 3M Scotchlite reflective tape that gives the rider higher visibility. When used together, these products provide great protection and comfort for any adventure motorcycle journey. Another great addition to Klim’s collection is the new Dakar pants and Dakar jersey. Inspired by the Dakar Rally, the new Klim Dakar Jersey and Klim Dakar Pants are durable and ventilated to help you take on the heat and surrounding elements. These items are meant to help you handle the extreme heat with its combination of breathable and moisture wicking material. The Dakar pants are lightweight and made of Cordura main body construction. These pants also have a stretch panel construction that allows for greater flexibility and airflow for the rider. Both the Dakar pants and motocross jersey are a great combination for going on off-road trails on those hot days of summer. For the all weather motorcycle rider, Klim is introducing the new Hi-Viz Badlands Jacket. Motochanic is the premier motorcycle dealer in the New York, New Jersey and Connecticut Tri-State area. Motochanic specializes in motorcycle helmets and protective gear, from brands like Alpinestar, Arai, Bell, Dainese, Agv, Fox racing, Gerbings heated gear, Rev’it!, Shoei, Schuberth and Roland Sands.